Home / Blog / What Size Collar Does My Dog Need? What Size Collar Does My Dog Need? When you try on a new shirt or pair of shoes, getting the right fit is often the thing that will make or break your buying decision. Just as an ill-fitting item of clothing can be uncomfortable and unpleasant, the same goes for your dog and its collar. In this blog, we discuss some techniques to ensure you get the right size, whether you’re looking for collars for big dogs, collars for medium dogs or collars for small dogs. 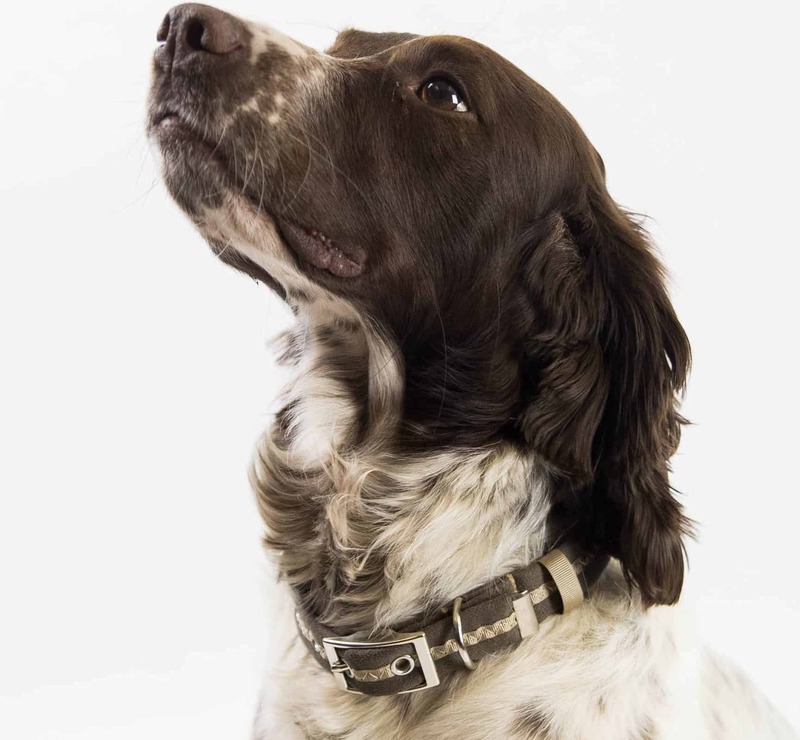 Whilst most manufacturers will give examples of which breed of dog each size is suitable for (as we do here), dogs within a specific breed can be very different sizes and so the neck measurement tells you all you need to know. The measurement is crucial as a dog collar that is too tight will be uncomfortable, and worse still could cause harm. If it is too loose, you increase the risk of the dog collar coming off (dangerous if you happen to be on a busy road). To measure your dog’s neck, we would recommend using a soft tape measure and taking a full measurement of your dog’s neck. If you don’t have a soft tape measure then use a piece of string and measure it straight with a flat ruler. The tape measure should be placed around the neck where the collar would sit. One note of caution: if your dog has long hair and is regularly groomed you should ideally take two measurements. Take a measurement just before grooming and then just after. You should then purchase a collar that can be adjusted between those two measurements. Once you have purchased your dog’s collar you should be able to fit two fingers under the collar. If you cannot get two fingers under it then it is too tight. If you can too easily fit two fingers, then it is too loose. Mistakes happen so make sure you buy your collar from a reputable shop with a good returns policy. Dog collars not only come in different lengths but also different widths, which is an important consideration depending on the strength of your dog. When considering a dog collar for a big dog it is likely the collar will be wider and there is usually some correlation between neck size and strength (although not always). A wider dog collar will offer more support around the neck, and is suited to a dog that is strong and pulls a lot on dog walks. It helps spread the pressure across the neck, thus reducing the risk of any injury. For a smaller dog, a wide dog collar is less suitable as it is likely to be heavier., Small dogs require a lightweight solution so that you avoid an unnecessary pressure on your dog’s neck. Personal choice will always factor but ensure a good fit and comfort first. Remember your dog may be wearing it 24/7! The ever-present growth in obesity is not just a human phenomenon, and as such most dog owners should routinely check their dog’s weight (or have the vet do it at routine check-ups). 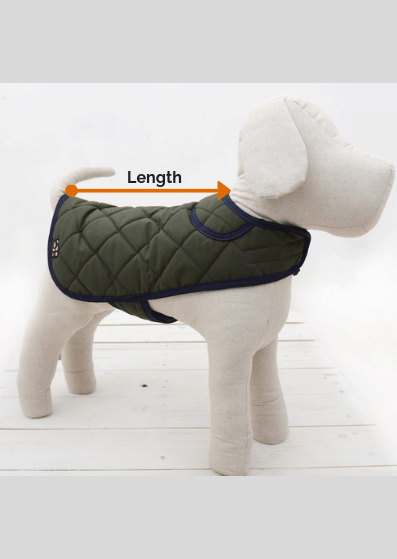 This is actually quite useful when you are thinking about your dog’s collar because as your dog gains or loses weight its neck size will also change. It is therefore crucial you check the fit of your dog’s collar routinely as it may need adjusting or even changing. This is further emphasised with growing dogs in their juvenile years, as changes in your dog’s size will be more frequent than an adult dog. Use reminders to check your dog’s collar, such as every walk when putting the lead on or setting a phone reminder once a week etc. We hope these tips have been useful! Feel free to shop now for the perfectly fitted dog collar.